What is the purpose of the Frankton Cycle Stand? The Frankton Cycle Stand was modelled after the Sheffield Cycle Stand. 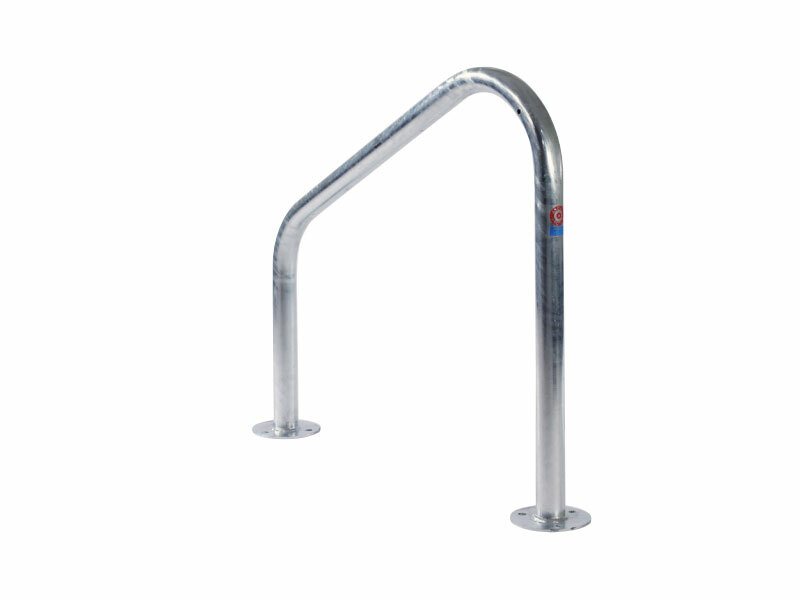 Its 48mm tubular steel is lower on one end, allowing it to accommodate both adult and children’s cycles. A single stand will hold two cycles, with one on each side, allowing the cyclist to lock the front wheel to the stand using either a chain or a D-lock. Both mild steel and stainless steel flanged versions are available for this type of bike stand. Installation is simple, with stands being placed approximately 800mm apart and about 450mm from any wall or other obstacle. The ragged ends version is designed to bolt into cement into the ground. 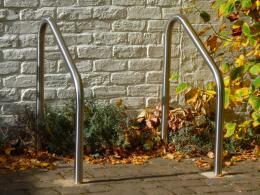 The flanged ends version is designed to be bolted into the ground, ensuring this bike rack to be extremely secure. You will need to order bolts separately – 6 of the 12 mm ones are needed (see below) and are available in a handy 6-pack. 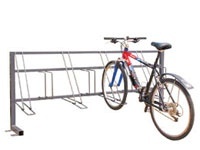 This type of cycle rack is also available in RAL colours, but take an extra 10 days to receive as they are done on order. 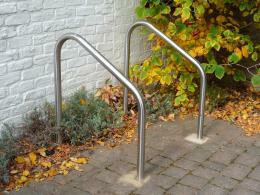 The Frankton Cycle Stands are an excellent choice for all of the cycle shelters we carry. This type of bike storage system is both easy to install and cost effective. Using multiples of this bicycle stand could accommodate many cyclists in both working and leisure environments. Cyclists who wish to assure the safety of their cycles are delighted to find these stands available either alone or under a cycle shelter.